Portfolio – A Small Selection of Some of Our Ongoing Projects! 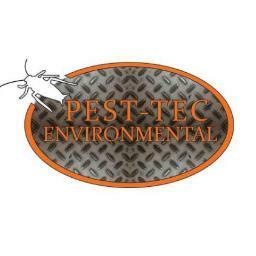 eapb is working for this leading pest control business operating throughout Surrey and London. We are assisting in driving visitor numbers to the business through effective search engine marketing, SEO and up-scaling social media activity. We are working with Marievele’s Marquees to improve their overall Internet visibility. Using a mix of social media, ethical search marketing, and local optimisation we aim to drive more traffic to the Marieveles company website. An established personal trainer in London, we look forward to working with Pete to improve the visibility and profile of the Pete Griggs Personal Training business online. Personal Trainer Pete Griggs will help you achieve your fitness goals faster than you ever thought possible, using his tried and tested personal training techniques he will give you the health and fitness of your youth. 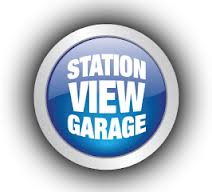 A new project for eapb, we will be working closely with Station View Garage to improve their visibility in the search engines and develop their social media profile on Facebook and Twitter. The company have been providing affordable car servicing & MOT testing in Dorking for over 20 years. Their professional team of technicians work to the highest industry standards on almost every make and model including new warranty vehicles. Regular services ensure your car runs more efficiently and prolongs its life, so long as you take as much care of it as they do! We have now started the campaign to achieve higher Google rankings for this car servicing business based in Crawley, West Sussex. Just Mechanics have a great set-up on Stephenson Way in Crawley and are looking to grow their business both on the service and MOT testing side. We will be bringing our search engine optimisation (SEO) skills to this business and helping them achieve their aim of increasing new (satisfied) customer numbers! We are delighted to be working with Burgess Flooring and Blinds in Worthing. We look forward to working with this client in developing their company Facebook page and advising where appropriate with on-going SEO to the company website. Based in Ripley just outside Woking, Methold Motor Company have been providing first class car hire, van hire and car servicing for over 20 years. Their strengths are delivering a great service for all customers combined with competitive pricing. We have recently started to work with this business. Our objective is to work with the company and maximise the company’s visibility in the search engines, particularly Google UK, for their relevant search terms. We have worked closely with this local business for the last 12 months. Operating in a fiercely competitive sector in the UK, our work with HomeApproved has been focused on increasing the visibility and reach of the business online. This has been achieved by a combination of ethical SEO practices and engaging the business with Facebook, Twitter, YouTube and mobile search. We will continue to work closely with HomeApproved through 2013. Based in Littlehampton and Eastbourne Felix & Scarletts Dancewear have been satisfying dancers exacting needs for over 20 years. Their strengths are concentrated into providing dancers with an unparalleled range & selection of dance products. We have recently started to work with this business. Our objective is to work with the company and engage Felix and Scarletts with Social Media Marketing. This process has begun with developing the business Facebook page and profile. Utilising the tools of social media enables a business to interact and have conversations with its target audience. This delivers high speed market feedback – at a speed no market research agency could ever hope to match! Andys Mobile Towbars are a small family run business based in Hampshire. They have a well earned reputation for fast efficient service, and competitive prices. Their mobile towbar fitting service covers the Hampshire and West Sussex areas. We work in partnership with the business for managing and developing their Google Sites website. Our objective is to raise the profile of the business using effective, ethical search engine optimisation. We also continue to assist the business with progressing its profile on Facebook. We offer a free, no obligation consultation and business review to anyone wanting to know more about our marketing consultancy services. We’d be delighted to talk you through the entire process, covering everything in plain and simple English. Contact us today! Your company’s TOMORROW starts here.